Imagine my surprise when last January I completed my first collection of poetry and discovered my agent didn’t handle it. The reasons are simple, and make sense: there isn’t a whole lot of money in poetry and whatever I do make she would like me to keep. She is not being mean or opportunistic. She has nurtured my career and stuck by me through thick and thin, and was fully confident I could find a home for it myself while she focused on the prose. Fair enough. It seems a lot of small publishers these days charge reading fees, ten or twenty or thirty dollars just to look at your work. I don’t even consider houses with this policy. After all, without writers they’re nowhere, so why should they charge us to do what they should be doing anyway, which is looking for decent manuscripts by talented writers to publish? It’s not vanity publishing, but it smacks, somehow, of venality and illegitimacy. Some small houses don’t consider ‘unsolicited’ manuscripts at all but will consider your manuscript for publication through open contests, which, of course, you pay a fee to enter. Some of these too may be legitimate, but I suspect that for many it is another version of the reading fee, though in this case they only have to publish one of the perhaps many that enter. I stopped entering writing contests when I was eighteen, when I submitted an essay to the CBC “writing of place” contest. They didn’t charge a fee either. A perfectly understandable and forgivable caveat. Many small houses just don’t have the staff or resources to be accepting a flood of submissions all year around. 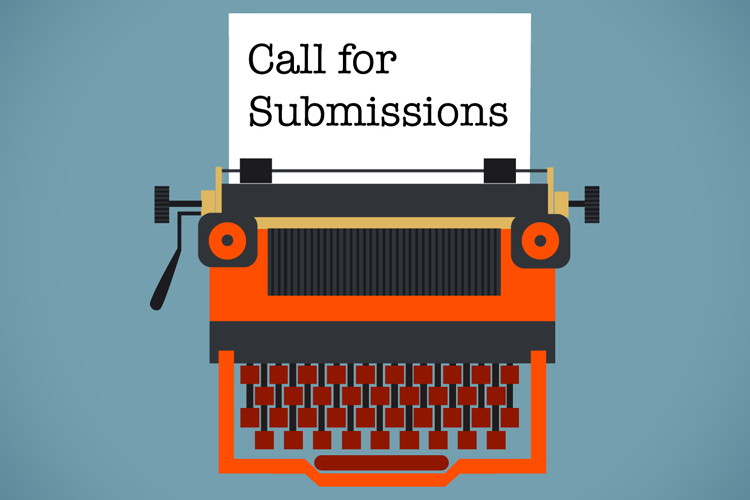 Some accept submissions for three months in the summer, some for three months in the fall. Some only open their gates for a month in the winter or some leave it open all year round. As a previously published author I can sometimes get around this barrier with a well-aimed incisive query, but for the most part I respect it. It is yet another consideration I have to keep in mind in targeting a publisher for my work. Which essentially means the publisher is looking to be approached by an agent and not a writer fresh our of his or her gate, or they approach you. Trying to bypass this particular barricade is often useless, as I sometimes suspect, with small publishers at least, it is code for not accepting new manuscripts at all. Most very large publishers never accept unsolicited work. Since I have an agent I don’t have to worry about this one, for prose at least, but it a very real and legitimate concern for new writers. Especially as it can sometimes be harder to find a good agent than a publisher. But this isn’t really a how-to article. More of a list and litany of the hoops one has to jump through to get a manuscript even looked at. I’m sure there are many good pieces of the ‘net about how to get an agent. Every publisher has a ‘list,’ a roster of authors they publish and the kind of poetry they prefer. I always pay attention to it. Shearman Press has an excellent explanation of the importance of perusing the list on their site. I didn’t even bother to submit there as they are looking for the best of established poets and I am, despite the publishing history, a neophyte poet. I try to find sample or two of what the house publishes. If it’s slim, delicate, surgical and precise I pass, knowing that my robust, diffuse and shotgun-blast style is not going to fly there. I have begun to believe that while you may be able to circumvent any of the above restrictions if you are creative and persistent enough, you can’t this one. There are as many poetic tastes as there are styles, and just because something is good doesn’t secure it pride of place. We all have to be good at what we do and savvy at how we promote. Just like any other self-employed person or entrepreneur. If you’re above that, you’re in the wrong profession. A lot of publishers don’t accept them. For a while there no-one did but that is starting to change. The prevailing mindset was, I guess, that you’re a somehow a more serious poet if you like to kill trees and have the thirty or forty dollars it costs to prepare and mail a hard copy submission. This will change gradually, and has for many already. The New Yorker started accepted on-line submissions a few years ago, and when big oaks like that fall smaller ones will soon follow. I simply can’t afford many hard copy submissions, so when I do publish my book it will be with likely be with a house that accepts e-submissions. I queried one publisher in my home province requesting an e-submission because I was hard up and yet still wanted them to see the book. They never responded. Completely contrary to my above statements about the value of trees, I’m not interested in being published in e-book form except as a companion to a dead-tree book. My reasons are simple, similar to Johnathon Franzen’s lament about the ease of self-publishing in the e-world and the rising tide of unedited, un-vetted books and articles on the Internet. I now believe that hard-copy publishing will see a resurgence and remain (perhaps on hemp or vegetative pulp) dominant in the publishing industry, simply for the fact that the bricks-and-mortar book will automatically separate the wheat from the chaff. There will simply be no way to tell in the e-book world what is good and what is not with so many being published, but real books will come with a guarantee of being vetted and edited at least, and the best work will continue to be published there with e-books as a companion format. Besides, I just don’t think I could get used to doing a reading on my Samsung. This is utterly contradictory to all that I’ve said in the past about the utility and value of the Internet. I know that. But in this one area I remain conservative. It’s a lot to worry about. A lot to consider. I’ve been submitting my manuscript since January and though I’ve had a nibble or two nothing has genuinely panned out. But I will keep on trying. One of the best sites I’ve found that lists publishers and their policies on all these questions is the database of small presses on Poets and Writers. Despite their rather odd habit of delineating the two (poets and writers), it can save you some time and effort looking these things up on your own. There is a very large part of me that is enjoying these struggles, however. I don’t take rejection as poorly as I used to. It is part of the process. The excitement of an unopened letter or e-mail from a house. The disappointment, perhaps, when it is rejected, but still a tacit confirmation that I am a working writer. I hope not to get enough to paper one wall with them, as I read once another writer did, but I might, if time and space and circumstance allow, make a small collage.